Rosneft Oil Company has participated in the international environmental campaign called ‘Earth Hour’. The campaign has been held since 2007 with support by the World Wide Fund for Nature (WWF). Its goal is to draw public attention to environmental and resource-saving issues. 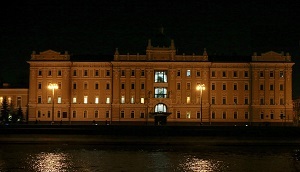 Participants of the Earth Hour simultaneously switch off their lights and facade lighting for 1 hour. 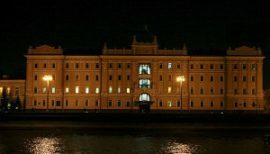 During the event, exterior lighting was switched off at the Rosneft headquarters at Sofiyskaya Embankment in Moscow, as well as at 177 subsidiary buildings, where the absence of electricity proved no violation of industrial, labour, and power safety standards. Sustainable use of subsurface resources and protection of the environment are integral parts of Rosneft’s corporate culture and social policy. The Company implements an integrated Programme on improving the energy efficiency of the Group entities, introducing energy-saving technology, ensuring the environmental safety of assets, preserving and restoring natural resources. In late 2018, Rosneft Board of Directors approved measures to strengthen the Company’s position in the environmental, social and governance areas (ESG), featuring Rosneft’s public attitude towards compliance with the 17 Sustainable Development Goals of the UN.